Free Shipping Included! 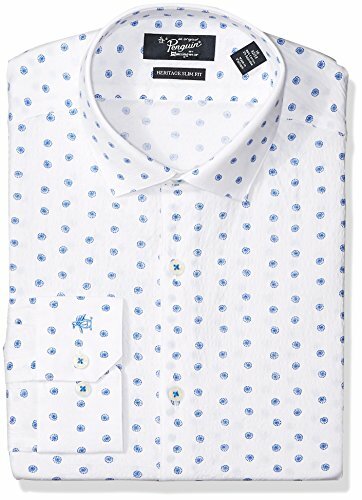 Original Penguin Men's Slim Fit Performance Spread Collar Printed Dress Shirt, Bright Blue, 15.5 32/33 by Original Penguin at SCRHI. MPN: OPG190N0468-435-15.5 32/33. Hurry! Limited time offer. Offer valid only while supplies last. Be an original in this Original Penguin dress shirt with all-cotton mechanical stretch, for a custom fit that moves with you and anything you do. Be an original in this Original Penguin dress shirt with all-cotton mechanical stretch, for a custom fit that moves with you and anything you do. Because sometimes you just have to button-up.